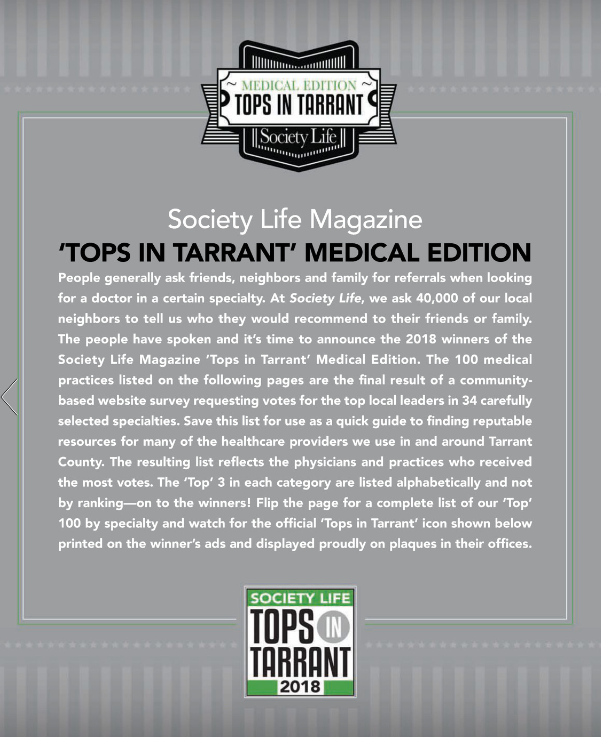 S ociety Life Magazine issued it’s “Tops in Tarrant” Medical Edition in February 2018. 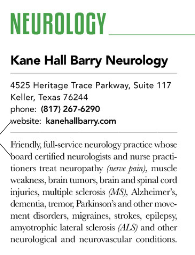 We are happy to report that Kane Hall Barry Neurology was picked by the community as one of the top 3 neurology practices in Tarrant County. We are honored that our neighbors and patients are letting others know about our practice.